As televisions gain greater functionality and begin to offer services more akin to a computer, the processing power is increasing and cooling of these processors needs to be in place. As is typical with other consumer applications, quality and cost are paramount, and on this basis Bluecore were engaged to design a heatsink for a TV processor. The heatsink needed to meet the required performance under natural convection (no fan), be low profile to fit inside the outer case, and be easy to assemble on the production line. Bluecore designed a low-profile BGA heatsink with thermal adhesive pad and retaining system for this application. 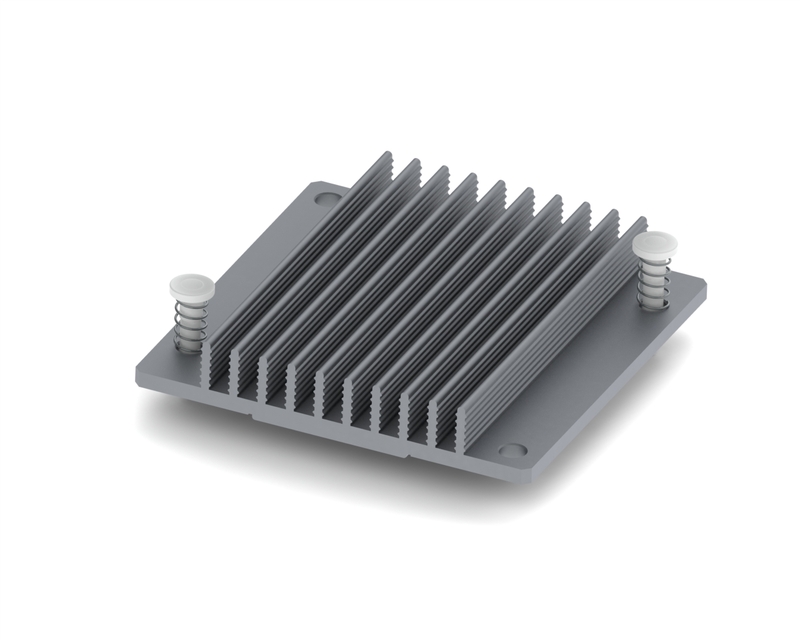 The heatsink comes as a miniature assembly, can be easily fitted during production, is cost-effective and matches the profile of the outer case.